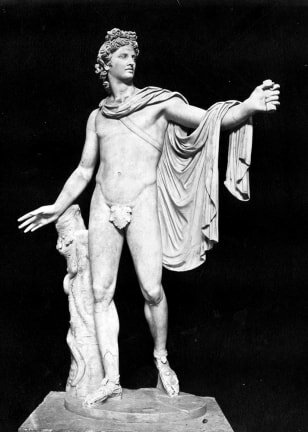 Statue of Apollo with a snake from the Vatican. Apollo was the twin brother of Artemis and son of Zeus, known for his musicianship and athleticism. God of prophecy, young men, light, truth and cattle, who taught mankind the art of healing.